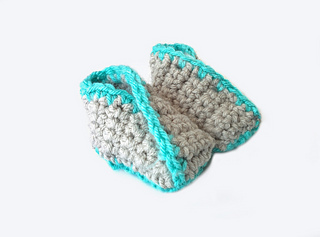 These baby booties are very easy to make and follow a simple pattern that can be customized to your liking. It’s perfect for beginners because it only uses a few basic stitches, and can be finished in half an hour. 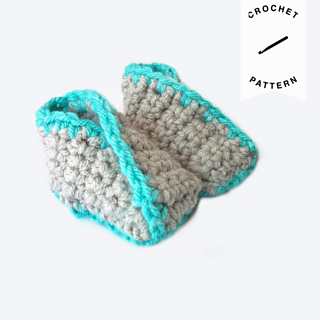 This pattern for baby booties uses simple stitches and simple shapes to create sweet little shoes in no time. 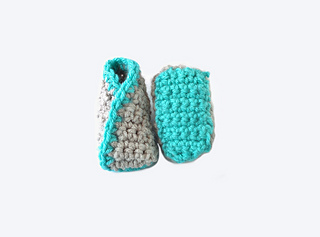 The sole of the baby booties can be made in a contrast color and you can add a matching trim to finish them off or make them all in one color. 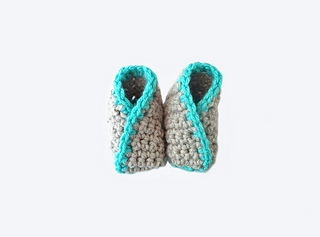 However you decide to make them, these crochet baby booties can be recreated in so many variations using this one pattern. They work up quickly and are perfect for even beginner crocheters.